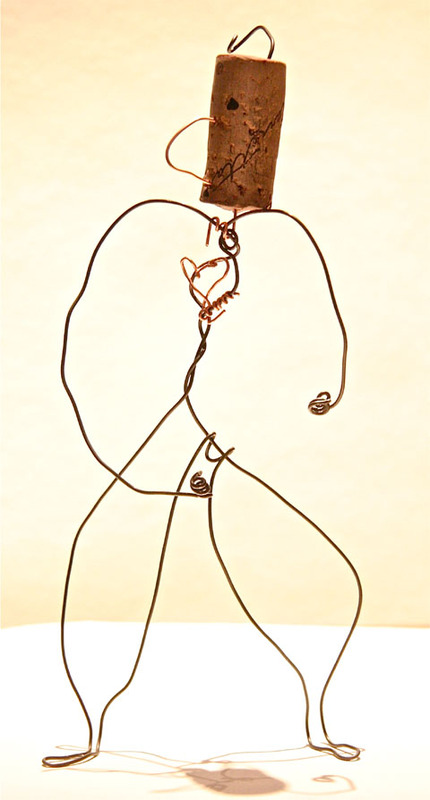 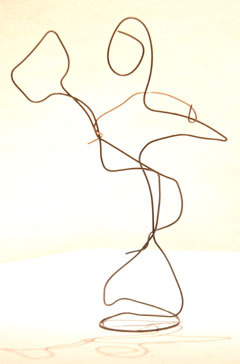 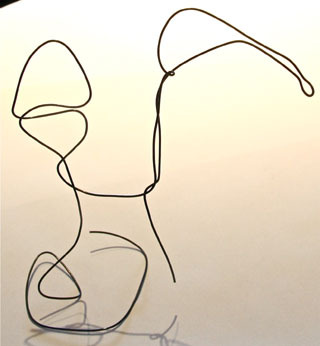 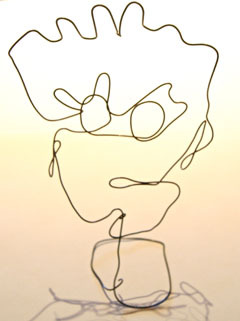 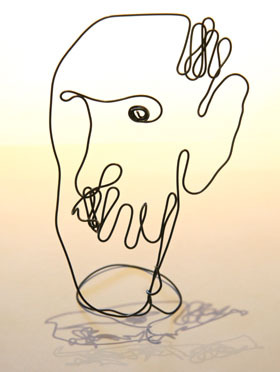 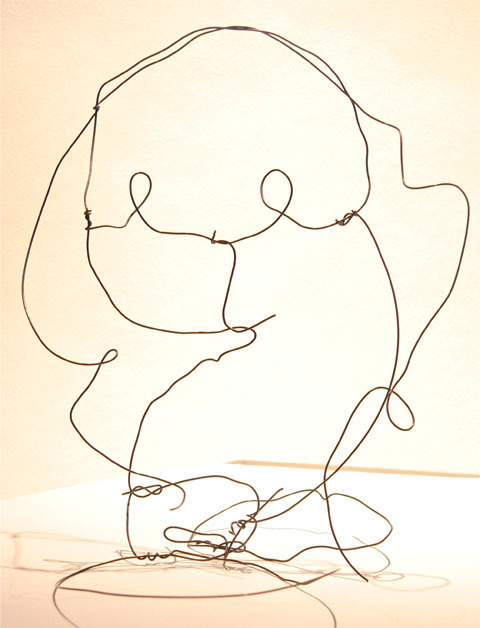 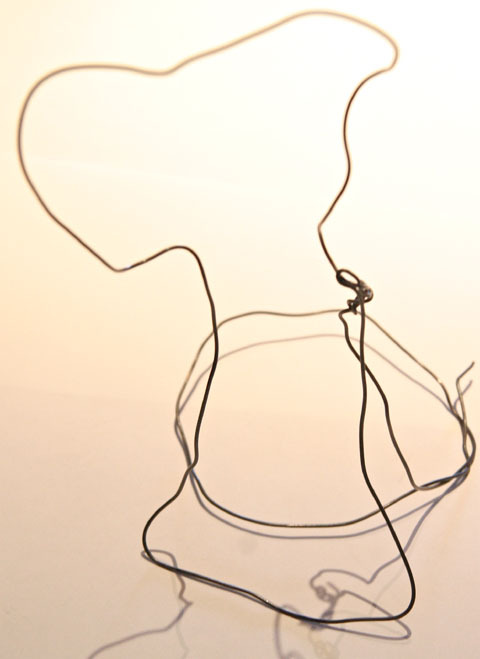 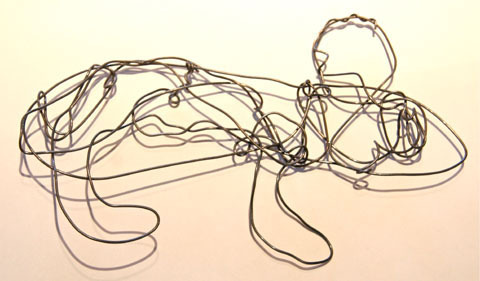 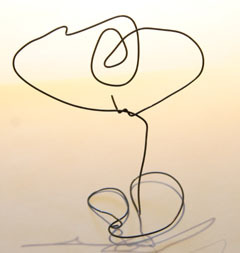 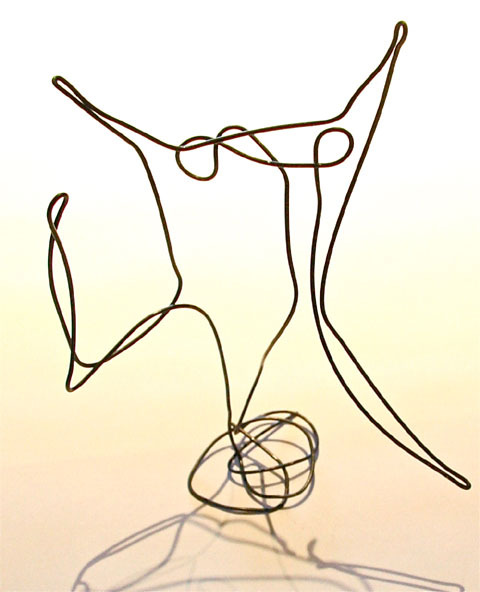 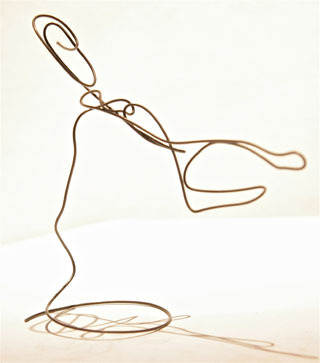 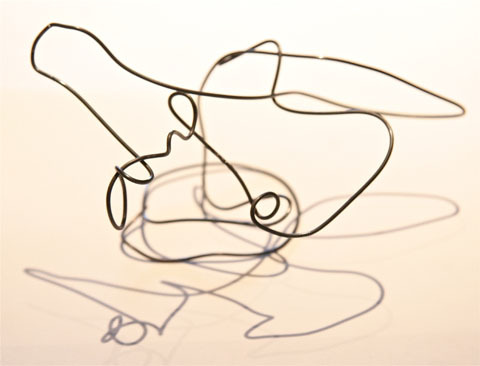 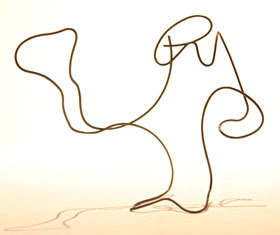 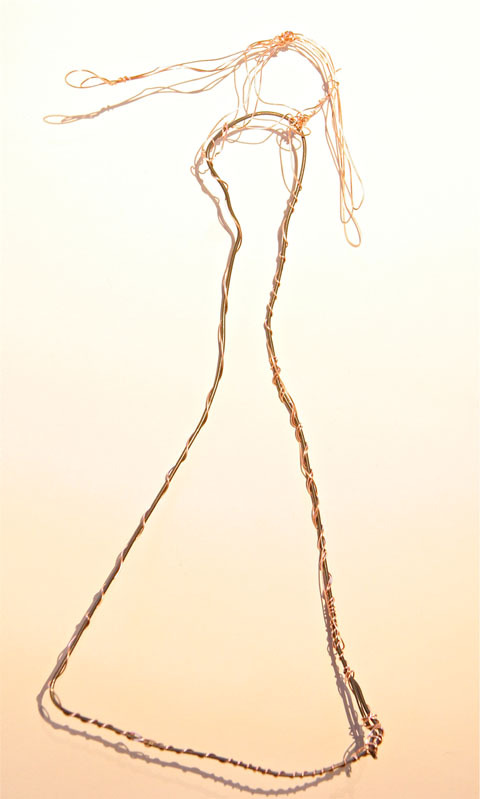 We examined the wire sculpture of Alexander Calder, and the figures he made for his Circus. 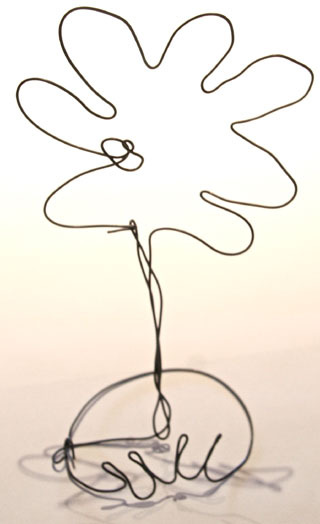 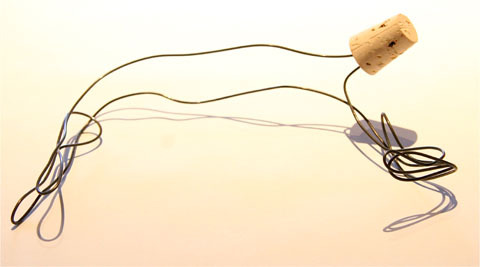 Calder invented the mobile, and we also looked at several of his mobiles and stabiles. 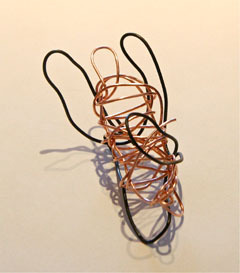 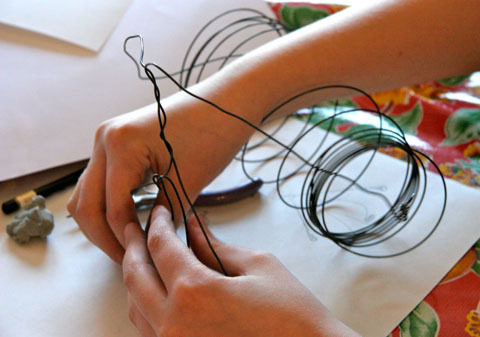 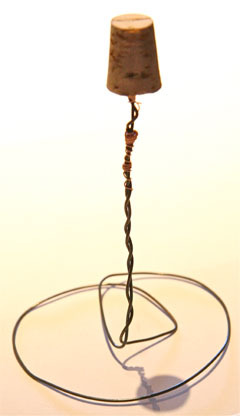 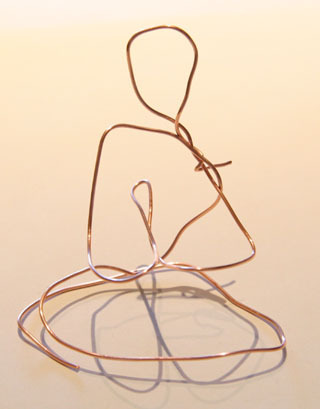 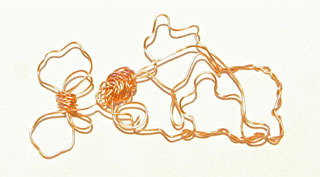 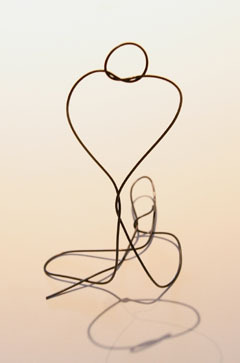 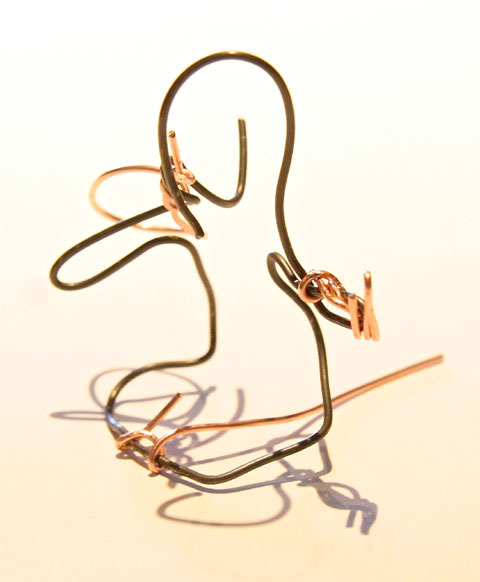 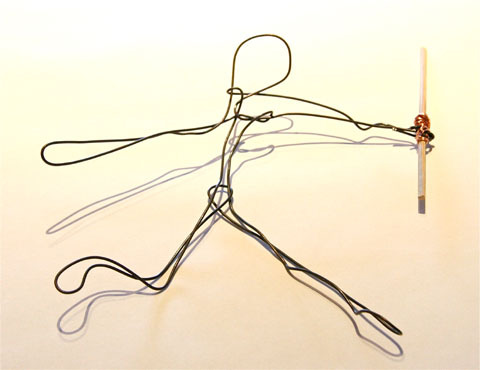 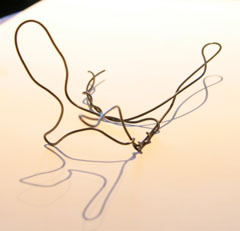 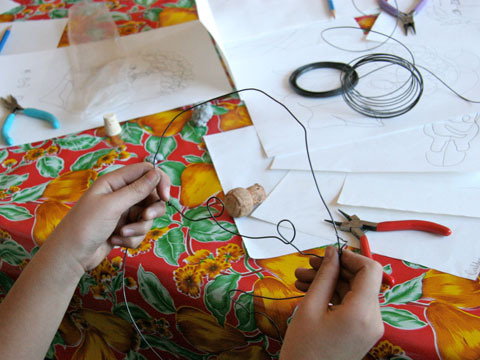 Then students fashioned metal and copper wire into figures using jewelry pliers and other tools. 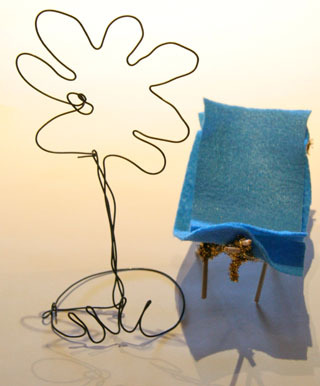 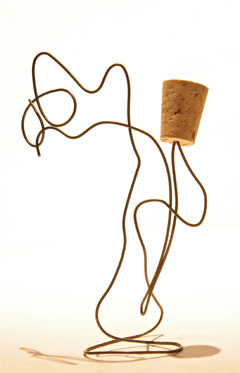 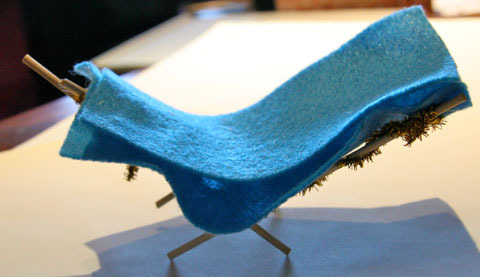 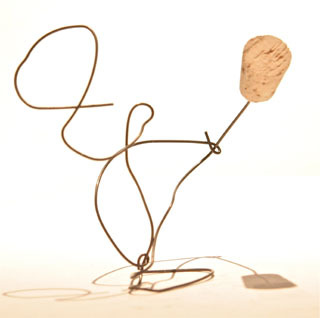 They also used sticks, felt, and corks to embellish their sculptures.